Is Rushing Marcus Stroman A Good Idea? Anybody Remember A Young Roy Halladay? Is Rushing Marcus Stroman a Good Idea? 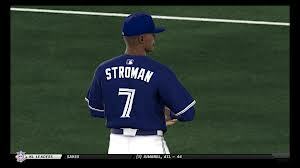 Prime pitching prospect Marcus Stroman is the pride and joy prospect of the Toronto Blue Jays. The 22 year old out of Medford, New York is front and centre with many media outlets heading into the spring training. Consider his age, and little professional experience under his hat. Why rush him? 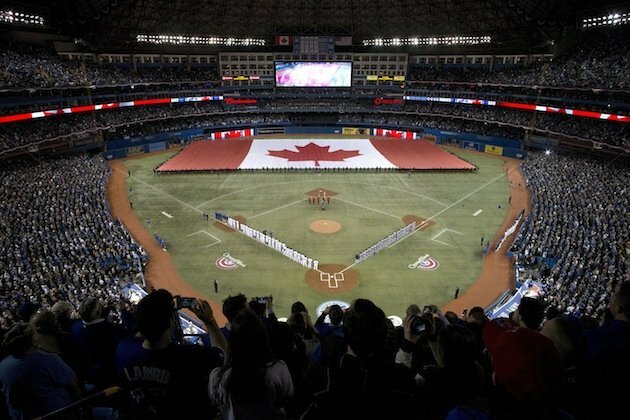 Toronto Blue Jays: All Offense? Melky Cabrera, Jose Reyes and Edwin Encarnacion. 3 of the first 4 hitters in the 2013 Toronto Blue Jays lineup, and all from the Dominican Republic Dominican slugger Jose Bautista is missing from this photo, but is the 4th piece of what was supposed to be a dazzling 1-4 combination this year. But Jose Reyes was hurt and the Jays’ offense has been a completely different story. Jose Bautista and Edwin Encarnacion, the two leading hitters on the team, have 11 and 13 HRs, respectively. Bautista is hitting .291 and Encarnacion is hitting .247, which is not the best, but his power makes up for it. EE has also driven in 38 runs while Bautista has driven in 27. 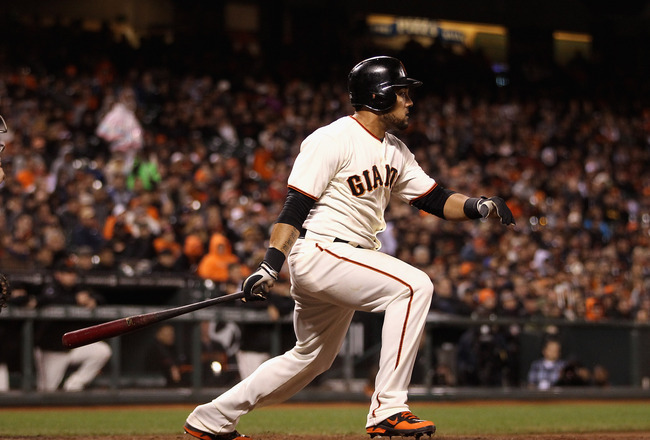 Melky Cabrera has not been the same person as he was last year with the Giants, but he is still hitting a respectbale .287. When Alex Anthopoulos and the Blue Jays set out last winter to improve the team, no one could have predicted what is happening currently. Anthopoulos brought in R.A. Dickey, the reigning NL Cy Young, Josh Johnson, and Mark Buehrle. 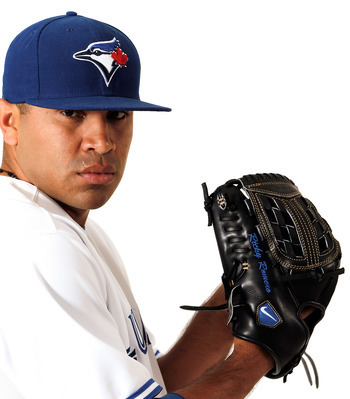 Ricky Romero struggled in 2012, so he started the season in the minors, and Brandon Morrow remained in the rotation. The Jays also had a tremendous hitting lineup to build on with Jose Bautista, Edwin Encarnacion, and Brett Lawrie. Jose Reyes arrived as part of the Marlins trade and Melky Cabrera was signed through free agency. 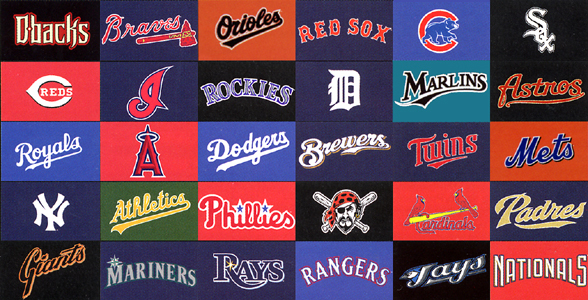 Although the Blue Jays are saddled with being in one of the strongest divisions in baseball, they were the favorite on paper. Over the course of a few games, all this was thrown out the window. Josh Johnson and Jose Reyes got injured, Melky Cabrera got off to a slow start, R.A. Dickey was not in his Cy Young form, and the team was not playing the way everyone had expected. Now, some could say, the Blue Jays are all offense. Ricky Romero led the American League with 105 Walks – and featured a brutal WHIP of 1.674 en route to a 9 – 14 campaign with a 5.77 ERA. 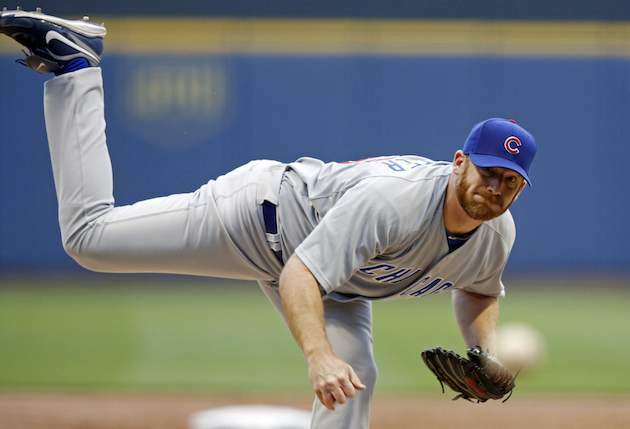 This was only a year removed from being an ALL – Star in 2010 – and finishing 10th in AL CY Young Voting. 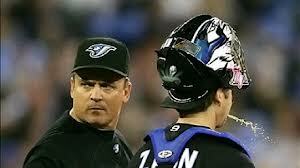 The Blue Jays Left Handed Pitcher was 15 – 11, with a 2.92 ERA and a 1.138 WHIP. 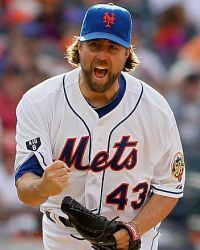 After the year, the team traded for Josh Johnson, former AL Cy Young winner Mark Buerhle – and reigning NL CY Young winner R.A. Dickey. Along with fellow returning Blue Jays Starter Brandon Morrow. 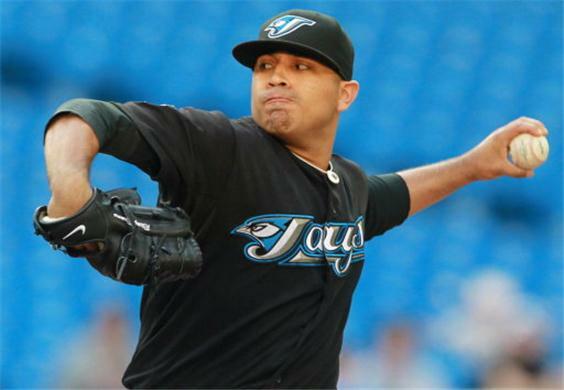 At the beginning of 2012, Ricky Romero was solidified as the number one starter in a strong Toronto Blue Jays roster. In the previous three years of his career, he only had an ERA above 4.00 once (in his rookie season, 4.30), and had won more than 10 games every year. 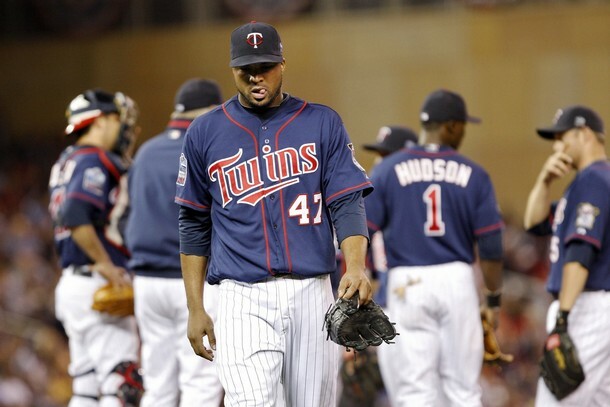 2012 was an absolute disaster for Romero as he posted a sky-high 5.77 ERA and a 9 – 14 record. He had fans confused as to how such a solid pitcher could do a complete 180 and turn from an ace to an iffy back-of-the-rotation starter. Romero is in a very interesting situation for 2013. The Blue Jays added two very formidable starters in Josh Johnson and Mark Buehrle when they acquired the two in a blockbuster trade with the Miami Marlins. 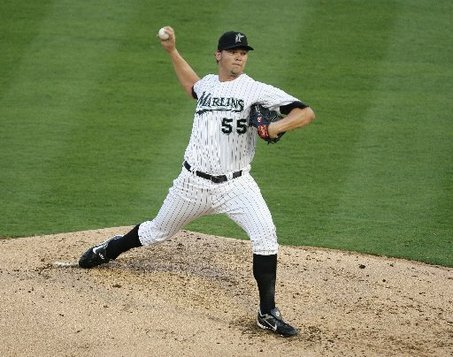 The two former Marlins starters will help support the preexisting rotation consisting of Brandon Morrowand Romero..
Also in contention for a spot is Kyle Drabek, who has made starts over the past couple of years, but has never really stuck. Johnson, Buehrle, Morrow, and Alvarez will round out the top four spots, and Romero will most likely be the fifth starter for 2013. Jose Reyes is a .291 Career Hitter and has averaged 55 Steals and 110 Runs Per 162 Games Played. He should have no problem scoring runs with Encarnacion and Joey Bats hitting in the middle of the lineup for Toronto. I think you can safely say that the off-season has truly begun! I was writing on my computer yesterday when the big trade blew up on twitter. I live in White Rock, British Colombia, Canada, so you can only imagine how excited the whole country of Canada was to talk about baseball on the big media Social Website. Within minutes, it was clear that the Marlins and Jays were talking about a huge deal. 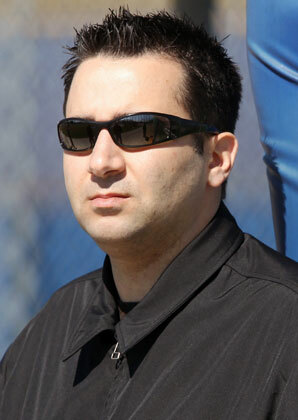 There is a remarkable quality that I have admired about Alex Anthopoulos for a few years now. That his organization is pretty tight-lipped about their negotiations with any MLB team, just as it was with the Marlins on Tuesday. I waited a few minutes and then…..WHAM! A Blockbuster trade came right down the PIKE! Here is the trade in case you have been living under a rock for the past 24 hours. Ricky Romero started the year out 8-1 and was poised to have his best win season of his career. He has lost 13 straight decisions since. Ricky Romero has had a brutal season. Lets not lose the sight that he has lost 13 games in row here. He also was 8-1 to start the year. You must look at the numbers though. He was sporting an ERA of nearly 5 when that took place, so he was simply being bailed out by the first half offense. The Jays were killing the ball before the ALL-Star Break. It only has been since the offense dried up with injuries that Romero started tail spinning. Seeing a great young pitcher struggle with confidence is not foreign to the Jays. Roy Halladay nearly through a no-hitter in his first start during his rookie year. The phenom battled serious control issues and was sent back down all the way to A ball in order to fix his mechanics. This ultimately saved Halladay’s career. I am not saying that will have to happen with Romero. He needs to grind through his last few starts. Hopefully he can end the year off on a good note by erasing this losing streak. 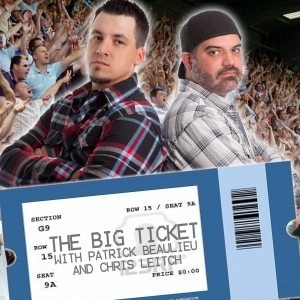 ‘On the Black.’ talks about the streak with They own this video and not the MLB Reports. Alex Anthopoulos has fixed a lot of the problems that J.P. Ricciardi left him with. It will take a few more years to see the club reap the benefits of the stock-piled talent coming from the replenished Minor League System. 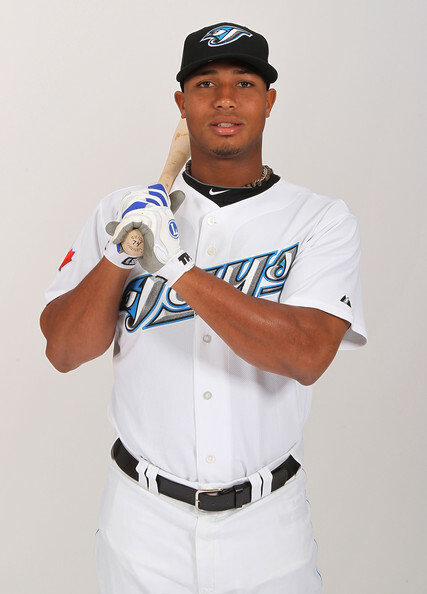 Man, I gotta say…The move with the Miami Marlins made by the Blue Jays shows that management want’s to play ball. 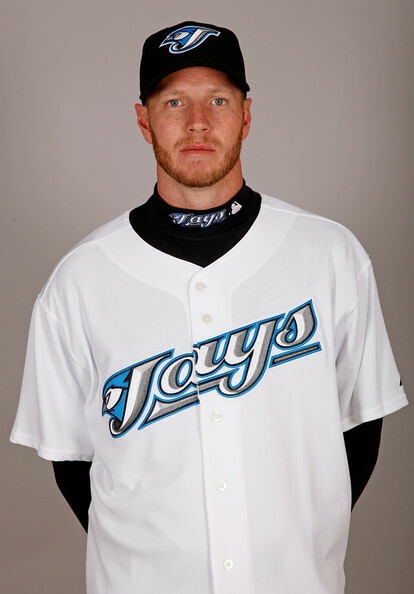 Signing Josh Johnson and Mark Buehrle give the Blue Jays two bonafide front-end starters to add into the mix in 2013. With a healthy year from Johnson and Morrow, you’ve got to guys with electric stuff going 1-2, and Buehrle is about as solid of a #3 any team could wish for. Romero in the number 4 slot, takes a lot of pressure off of him to bounce back, and even if he can simply perform at 90% of what he is capable of…it’s a pretty sight for the Blue Jays to have this kind of rotation in the AL East. Management definitely quieted some dubious fans and put it’s money where it’s mouth is! 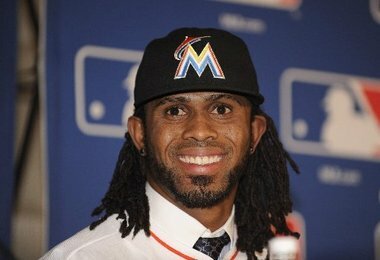 The signing of 29 year old Jose Reyes gives the Blue Jays a superstar shortstop up the middle for the next 5 years. A guy to lead off who gets on base and steals 40+ bases a year will be very nice to set up the table for Bautista, Encarnacaion and Lawrie. And I wouldn’t be surprised if the Blue Jays still added some more pop to the lineup by trading for an offensively minded left fielder or DH. The Blue Jays inherited a lot of salary from the deal, but only parted with a few prospects from their deep farm system (Nicolino…one of the Big 3 pitchers, Hechevarria, and Marisnick). They now have Bonifacio and Izturis at 2nd base who are nearly identical players and can deal from a sudden strength there in a emaciated 2nd base market…and they have a plethora of catchers in another thin market, that they can trade. 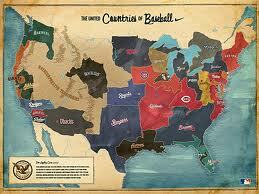 Not to mention the remainder of their extensively talented farm system which they can use as trade bait. I don’t think the Blue Jays are happy with expecting Adam Lind to bounce back, and I’m unsure whether they are comfortable with Gose/Rasmus in CF either so I would expect them to bring in another outfielder or DH. They already have incredible speed on the basepaths between Gose, Lawrie, Bonifacio, Reyes and Davis. They may still go after ANOTHER pitcher in the mold of Edwin Jackson, but it is doubtful that they want to spend any more money on the rotation after acquiring Johnson and Buehrle. If they did anything it would likely be via trade, but why when they have Drew Hutchinson, Kyle Drabek, JA Happ and a bunch of other great 5th starter possibilities laying in wait? They are more likely at this point to use trading chips for offense/and or bench players. 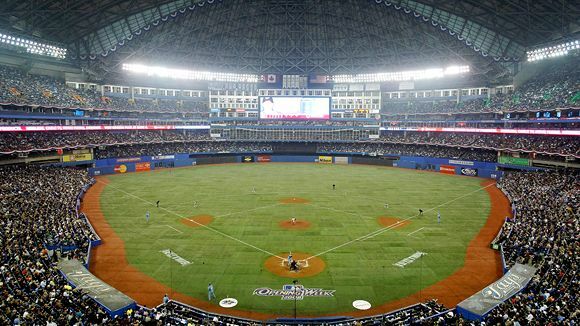 The Blue Jays finally made a bold move that shows they recognize that with their current players/contracts/core and the current health of the AL East…the time to strike was now…we couldn’t continue to wait for a rich farm to develop and then harvest. Who would have ever guessed that the two front end starters we required this offseason would come in a single trade? Out of nowhere! And we knew that Yunel Escobar was on the trading block, but we never would have expected to have a Super Star like Jose Reyes at SS for the next 5 years? I know the Blue Jays inquired on Reyes last year during the offseason, but wow…All we can say is “Thank you Mr. Loria”. 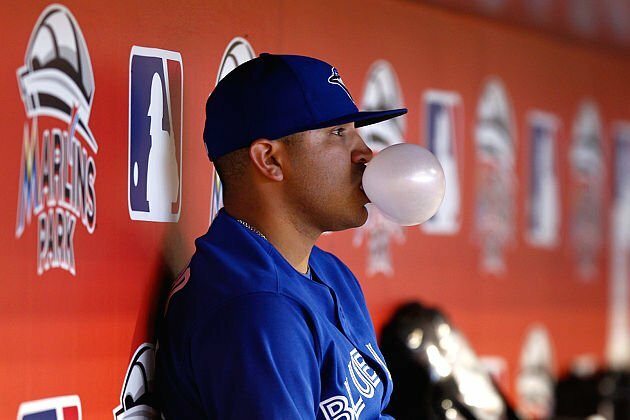 I really enjoyed your analysis of the Blue Jays future (for that blog click here ) along with your digest of the various possibilities and directions that may chose going forward. 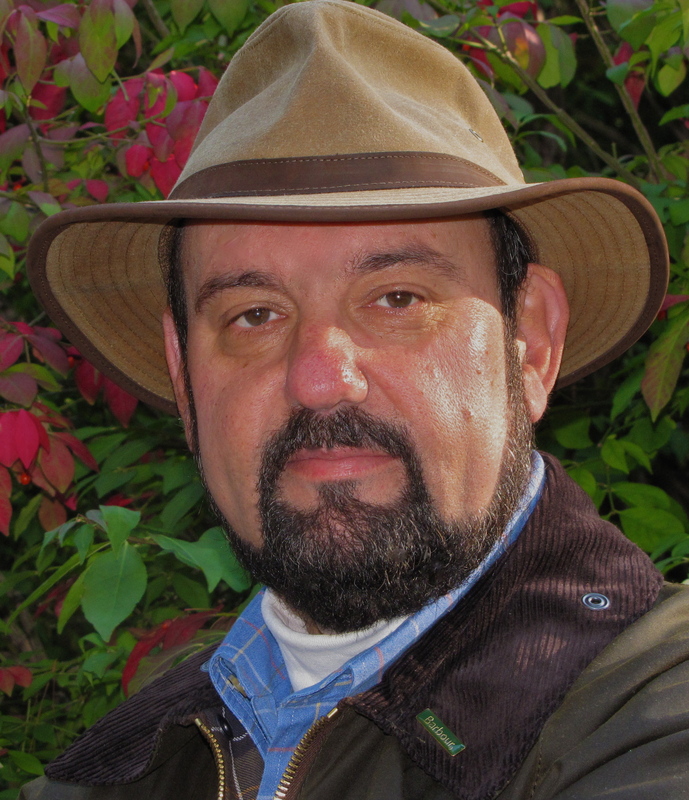 Furthermore, you hit the nail on the head: When Alex Anthopoulos inherited this team from J.P. Ricciardi, he was merely a protégé of a failed, and over-hyped GM (Ricciardi), who was the protégé of Billy Beane…possibly also “over-hyped”. 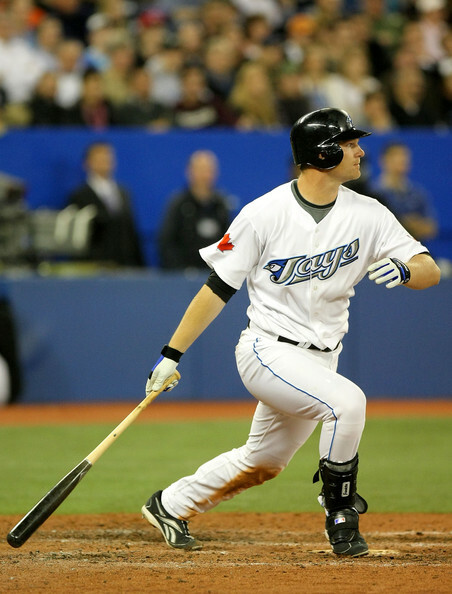 If Anthopoulos learned anything from his time working under J.P. Ricciardi, and his time sweeping floors in Montreal it may have been this: “While some people may quantify your value based on perceived potential, it is best to quantify yourself on what you have actually done”. Therefore, Anthoploulos wasted no time making moves and proving to all of Canada (along with most of baseball) that he truly is a Ninja. Somehow, someway…he was able to convince the Angels brass, and the ChiSox to fill in the holes that Ricciardi had dug with contract extensions to Vernon Wells and Alex Rios (respectively). The MLB Pitching Leaders in Wins: What to Make of Them? Bernie Olshansky: With more than half of the season over, we’ve seen a lot of surprises when it comes to pitching. Some have pitched unbelievably well and are rewarded for it, some haven’t pitched as well and have been lucky, and some aren’t so lucky. Although it might be wrong to spotlight pitchers on the night of a hitting showcase, here’s a list of pitchers (some lucky and some not) who are atop the majors in wins. Eight Wins: To name a few: Ubaldo Jimenez, Clay Buchholz, Ricky Romero, Jason Vargas. I would think it’s safe to say these guys are getting really, really lucky. Taking a look at these ERAs, Jimenez has a 4.50, Buchholz has a 5.53, Romero has a 5.22, and Vargas has a 4.07. Not to mention, Buchholz has only two losses. Looking purely at wins and losses, he’s a legitimate Cy Young candidate. Obviously wins don’t tell the whole story. Luck plays a huge part in each of these win-loss records. The Indians average 4.52 runs per game, so that explains why Ubaldo wins. The Red Sox and Blue Jays never have a problem producing runs either. But the Mariners? Although he’s been lucky, Vargas has also had seven losses, so for almost every time the Mariners have scored for him, they’ve also failed to score for him.